← How ‘domestic’ was women’s work? Step forward, then, our ‘Workers of the Week’: the Conant Family of Moretonhampstead. The reason I wanted to highlight this following case is that it serves as a reminder of the importance of the household as an economic unit in early modern England. Our principal approach on this project is to record evidence of individuals engaged in work activities, but it is crucial to remember that the majority of people in this society did not operate as individual economic units selling their labour or goods, but rather as members of a wider ‘household economy’ – a form of small-scale worker collective, if you will. 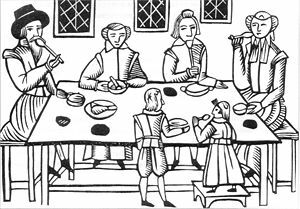 The centrality of the household as an organising unit for early modern economic, social, political and religious life is, of course, well known: David Rollison once described early modern England as ‘a culture of households in a landscape’. In many of our cases our sources do not allow us to set the work activities we find within the context of household economies – most of our evidence comes from snapshots of individuals doing a specific activity at a specific moment detached from details about the wider work structures within which it took place – but whenever we are given contextual detail about who work was done for, or with, we eagerly record it. And just occasionally we get this sort of information in abundance, as we do with the Conants. 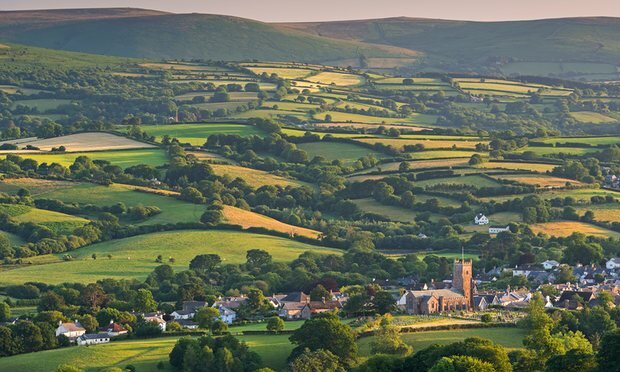 The case comes from the papers of the Devon Quarter Sessions, when the family were accused in October of 1620 of stealing sheep from John Hutchins, whose land lay adjoining to the land of Thomas Conant, a husbandman of Moretonhampstead. Curiously, Thomas himself was not examined by the magistrate (or if he was his examination doesn’t survive) but his wife Johane was asked to explain the presence of two ewe sheep that the local constable had found in her huband’s barn with their legs bound by a piece of cord. Johane Conant denied any knowledge of the sheep-napping, but she explained of the ’60 weight of wool’ also found in their house by the constable (I think this is about 50lbs but happy to be corrected) that ‘she bought the same of certain men of Chagford whose name she knoweth not’. Her daughter Thomasine was next up, and the magistrate asked her if a basket of mutton found in the barn was her mother’s: she replied that it could not be, as ‘their basket was sent to the house of John Howe of St Thomas [a nearby parish, and the one I’m writing this from in fact] unto a sister of this examinant about 3 weeks before Michaelmas last to fetch home this examinants clothes’, and that the said basket ‘was either left there or lost by the way’. The magistrate then examined John Conant, a son of Thomas and Johane who had ‘served Giles Kingwell of Crediton… by the space of 5 years until Lammas last and then he came home unto his father’s house’. He too denied all knowledge of any sheep stealing, but did confess that ‘he was on the said Hutchins’ ground on Saturday last and did drive a mare into the said ground’. His brother Ben was the next examinant to face the magistrate, and in a more fulsome response than his siblings unwittingly offered the historian a whole plethora of work activities to record. Where had his sister been on the Saturday that the sheep went missing? She was at home in bed sick all day ‘until it was almost night, at which time his sister rose to bake 3 loaves of bread’. What about his brother? ‘John went forth in the evening into their own ground to set or till springles [traps] to catch woodcocks’. What did he know about the basket? He himself had ‘carried the basket unto the aforesaid Howe’s house to fetch peas from the said house, but there were none, and therefore left the basket there’. The constable had also, it seems, found a basket of wet wool when searching the Conant house and barn, but here too Ben Conant could explain: ‘it was wool he gathered up about the house, and washed the same himself to make him clothes’. And whilst he also denied any involvement with the sheep theft, he did confess that the family owned a length of cord, for ‘his brother Richard brought with him from sea about 10 days last past a certain bunch of cord, which this examinant sayeth his mother did use to hang clothes to dry from’. We will never know for certain, of course, if the Conants took those sheep, or whether the various work activities they attested to were elaborate cover stories or accurate accounts of their everyday work activities. But if we are prepared to accept – as I have explained elsewhere that we, at least, are – that the stories the Conants told the magistrate were plausible accounts of everyday work activities, and therefore reflect the realities of everyday life in this society, then this case provides us with a remarkably rich account of the operation of a household economy. For a start, it suggests that a household economy could be remarkably versatile and diverse: we have evidence here of engagement in commerce, baking, hunting, washing, fetching peas and the making of clothes. What is more, that is all without reference to the activities of the male head of household, Thomas Conant, who we are told is a husbandman but who doesn’t appear in the depositions. This reinforces a point that is now well known: that the ‘male breadwinner’ model of household economies is of little relevance to the rural economy of early modern England. Here, everyone was mucking in. The case also raises lots of interesting questions about the gendered division of labour. Some of these activities represent undoubtedly gendered forms of work: the hunting is done by a male, something we have found no examples of women doing. 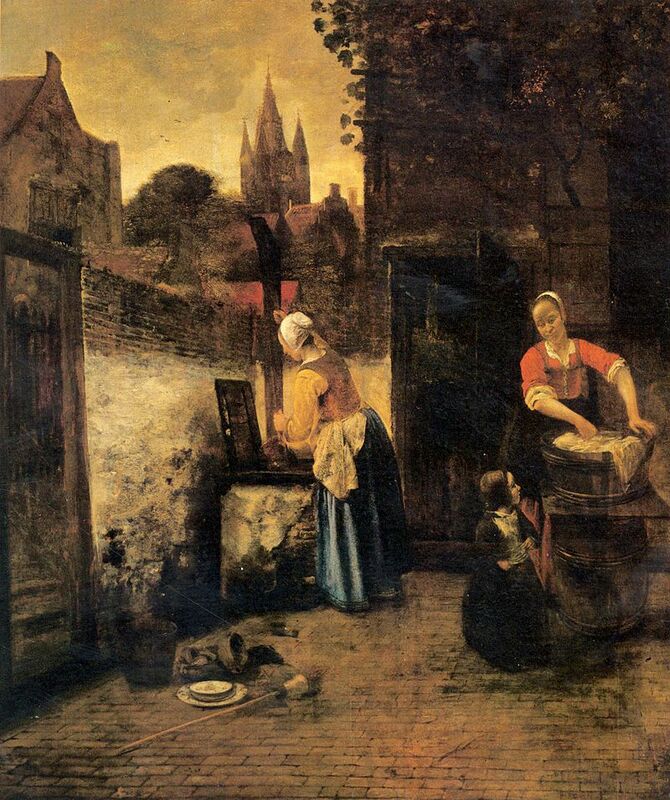 Others might seem to be classically gendered tasks at first glance: the daughter baking bread as an example of domestic food processing, which is generally considered to have been women’s work, or Johane Conant hanging out the washing. But baking was not exclusively women’s work, and both men and women could make a trade of it. Washing of clothes was invariably done by women in the examples we have recorded, but Ben Conant washed wool – was the task so very different as for us to be able to say ‘washing’ was women’s work? Perhaps it was not the task of washing, but rather what you washed, that was gendered, and that in itself would be interesting (and something we will have much more to say about in future). Some forms of work undertaken by the Conants were clearly done by both genders. Johane Conant went to Chagford to buy wool – her commercial transaction was with two men. And although the examinations are a bit more opaque on this issue it seems reasonable to assume that textile/clothes production involved both genders. What had Johane bought that wool for if not to spin it into yarn? Ben Conant claimed he was going to make his own clothes, a form of ‘reproductive’ labour usually seen as women’s work, whereas making clothes for sale is generally seen as ‘productive’ labour and something done by men. Had the missing basket that was sent to the sister at John Howe’s house to ‘fetch home’ Thomasine’s clothes been intended for returning clothes that said sister had been either making or repairing? Would she have been paid for this? Again, our sources often cannot tell us the whole story, but here they do suggest a complex web of activities that defy easy demarcation along gender lines or into categories of ‘productive’ and ‘reproductive’ work (categories we have critiqued elsewhere). Finally, the case of the Conants suggests that the worker-collective that was the household had porous borders: John Conant had lived away as a servant but had since returned to engage in woodcock hunting and horse husbandry. The sister in St Thomas may well have been a servant to John Howe, but she clearly maintained ties with her family household – and the ties between Howe and the Conants also extended to the exchange of peas, but on what grounds we cannot be sure. And then there was Richard Conant, returned – perhaps temporarily – from sea, and contributing to the household economy a new washing line for his mother. Or possibly a sheep-rustling aide. Perhaps the Conants of Moretonhampstead ultimately raise more questions for us than they answer (the magistrate that examined them may well have had a similar view). But this is not necessarily a bad thing – at the very least this unusually detailed example highlights the variety of work activities that could be undertaken within the context of a single household economy, and in the process causes us to reflect critically on some of the key categories – individual/household, productive/reproductive, men’s work/women’s work – that are central to our understanding of the history of work in this period. David Rollison, The Local Origins of Modern Society: Gloucestershire 1500-1800 (1992). Thanks to various #twitterstorians for helping me to track this reference down. Devon Record Office, Quarter Sessions Bundles, Epiphany 1621. This entry was posted in Workers of the Week and tagged Workers of the Week. Bookmark the permalink. My own family were living and working in the Moretonhampsted area at this time, so this was fascinating. However, as a Living History Guide at Morwellham Quay, I just want to check that you are going to include the Bal Maidens, working at the mines, in your study? Thanks for your interest Tessa. We are only including those women workers who turn up in the records of the Quarter Sessions and Church Courts, and we haven’t got any female miners yet sadly (though we do have some Mendip women washing ore). Are there examples of Bal Maidens as far back as the 16th and 17th centuries, do you know?